Iulia Nițescu (secretary) has a PhD in Philology, Russian Studies, with a thesis which analyses how the religious symbols have become part of the political discourse. She has an MA in Religious Studies and BA in Russian and Swedish Language and Literature. Her main research interests are religious studies, Medieval Russia, the relation between religion and politics. David Borchin is an MA student at the University of Bucharest, Faculty of History, his BA is in History at West University of Timişoara, Faculty of Letters, History, and Theology. His BA thesis is on the implementation of antisemitic policies during the period of 1938-1944 in the region of Banat in the Kingdom of Romania. His main research interests include totalitarian regimes and extremist political ideologies in the 20th Century and how these impacted the lives of ordinary people. Corina Dumitru is an undergraduate student at the Faculty of Foreign Languages and Literatures, Modern Applied Languages (LMA) department. She is specializing in English and Spanish. Larisa Gogianu is a PhD student at the University of Bucharest, Faculty of Philosophy. Her doctoral research focuses on the problem of conceptual and theoretical change in evolutionary biology after the modern synthesis. She is also an undergraduate student in biology at the University of Bucharest, Faculty of Biology. Her interests range from genetics to taxonomy, systematics and botanics. She wishes to specialize in the genetics of plants. David Linus Neagu is an MA student at the Faculty of History, University of Bucharest, Medieval Studies program. He has a BA in Armenian Historiography. Areas of interest: Crusades, Armenian History, Medieval Military History. Cătălin Petrescu is an MA student at the Faculty of History of the University of Bucharest, History and Practice of the Internațional Relations program. He also has a BA in International Relations and European Studies. His bachelor thesis was called “French and British perspectives on the events in Ukraine (2013-2015)”. His areas of interest are Ukraine and the post-soviet space. Irina Chiriță is an M.A. student, currently enrolled in the „Religious Studies” program at the University of Bucharest. She also has a BA in Psychology and an MA in Clinical Psychology. Her main areas of interest are Western esotericism and depth psychology. Ovidiu Babeș is a PhD student at the Faculty of Philosophy, University of Bucharest. His dissertation deals with the connections between Descartes’ mathematics and his natural philosophy. He is also interested in early modern British experimental philosophy, history of mathematics and philosophy of language. Dan Siserman (2015-2016) is PhD Student at the Faculty of Philosophy, University of Bucharest. His research topic focuses on Joachim of Fiore’s hermeneutics of history. His research interests include metaphysics, political theology and religious studies. Claudia Dumitru (2015-2016) Her main area of research interest is in history and philosophy of science, with a focus on the second part of the seventeenth century in England and especially on the Royal Society. 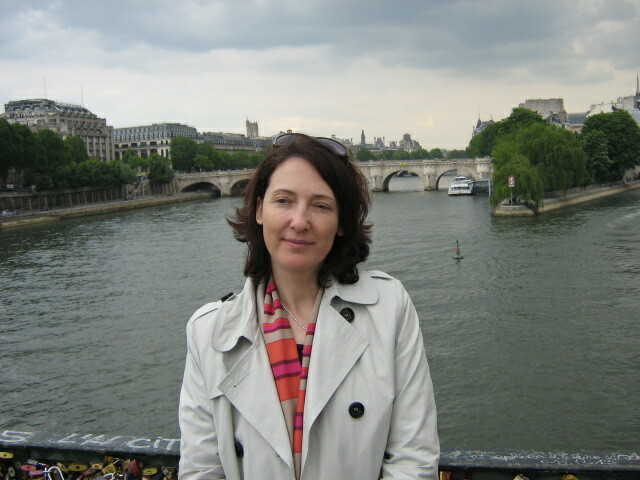 Her current research – and her project as a member of the larger From natural history to science: the emergence of experimental philosophy project – deals with the evolving relation between memory and natural history in the natural philosophy of the seventeenth century, with an emphasis on Bacon and on the circles of the Royal Society. Currently she is a doctoral student in the department of philosophy at Princeton University.